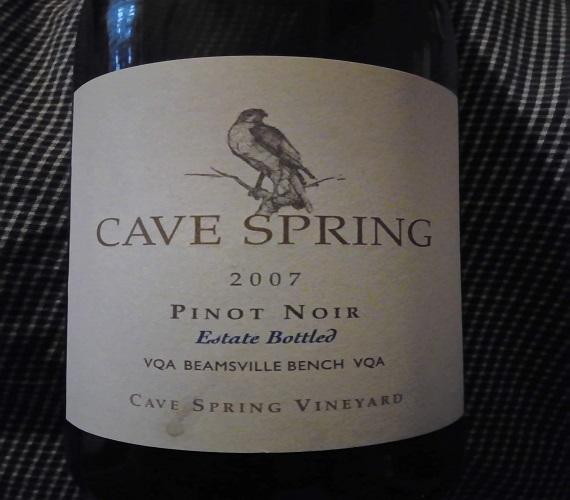 At first pop of the cork the wine was leathery, black licorice and dried cherry - I would say a pretty good start for its age ... then in swept good acidity and a wonderful smoky finish. As it sat the entry turned from leather and licorice to sweet fruit, then carried on to spiced dried cranberry ... then the licorice came back on the finish. But 30 minutes later disaster struck as hints of prune begin to emerge and pretty much start to take over all aspects of the wine from there ... Sigh. It's a drink quick wine but you will enjoy it in that short time. 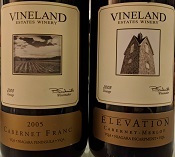 Vineland 2005 Cabernet Franc ... From a hot / good vintage and a winemaker that loves Franc, so you must have a little faith it's going to hold up, even 13 years later: licorice, earthy, tobacco, there's even some unexpected notes of coffee and sweet dried cherry. 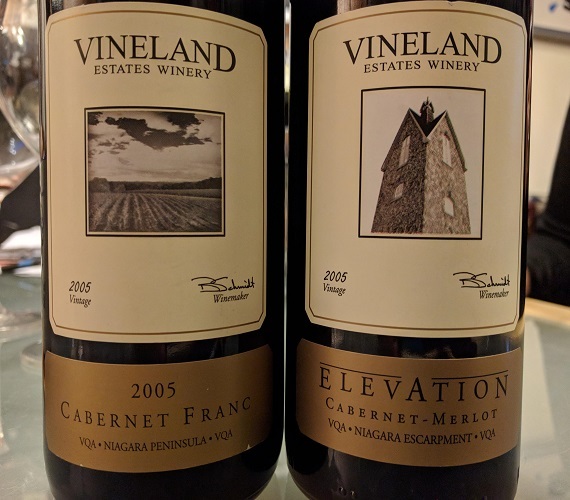 Vineland 2005 Elevation Cabernet-Merlot ... A red blend of the big three reds, and again 13 years later it's still juicy with blackberry and black cherry, smoky, mocha, and good acidity ... As the wine sat open there were even hints of blue fruit that popped in and out. Usually I pick a winner but this one is too close to call - maybe I'd go with the straight up Franc which was a mere $12.95 back in 2006 when I bought the wine and has no business being that good at that age for that price.